Earlier this year, Demi Lovato was rushed to hospital following a suspected overdose, leaving fans shocked and worried for the singer. Three months later, however, and Lovato’s mum Dianna De La Garza has given an update on her daughter’s health, saying she has been sober for the past 90 days and is working hard on recovering from her addiction problems. Lovato was taken to hospital from her home in the Hollywood Hills back in July, only weeks after releasing her song Sober, in which she documented her battle with substance abuse, which has been on and off since she was a teenager, and revealed she had recently relapsed. Yes, she has 90 days and I couldn’t be more thankful or more proud of her because addiction being a disease, it’s work. It’s very hard, it’s not easy, and there are no shortcuts. Dianna also opened up about hearing the sad news that her daughter had been hospitalised because of a suspected overdose, calling it ‘a nightmare for any parent’. Not knowing what had happened, and thinking it might’ve been a car accident before hearing the truth, Dianna said: ‘I was terrified to look at my phone’. Despite the release of her song Sober, in which Lovato sings ‘I’m so sorry, I’m not sober anymore’, her mum did not know the extent to which the singer had relapsed. …because she doesn’t live with me… I just knew she wasn’t sober and that’s all I really knew at that time. 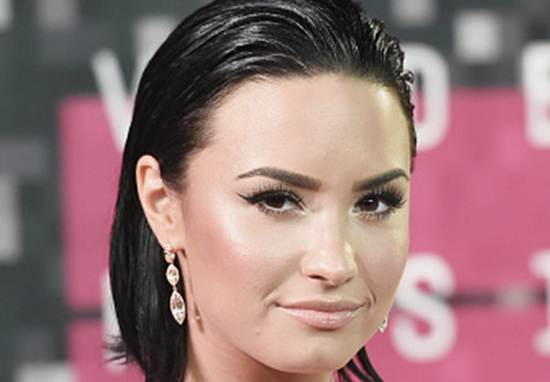 She also opened up about the frightening few days following the incident and Lovato’s hospitalisation. It was a rough two days. I can honestly say I didn’t know what an opioid was at that time… We have all heard the word, but I didn’t know anything about it until I started researching. The 26-year-old singer has openly struggled with addiction and eating disorders since she was a teenager. Two weeks after being taken to hospital, she took to Instagram once again to be honest about her situation. I have always been transparent about my journey with addiction. What I’ve learned is that this illness is not something that disappears or fades with time. It is something I must continue to overcome and have not done yet. Lovato went on to thank her friends, family, fans and staff at Cedars-Sinai – the hospital in California where the singer was treated. I now need time to heal and focus on on my sobriety and road to recovery. Let’s hope her recovery continues as positively as the last 90 days.